People are making mermaids for May and posting them online, and it's the perfect reason to get an idea out of my head. 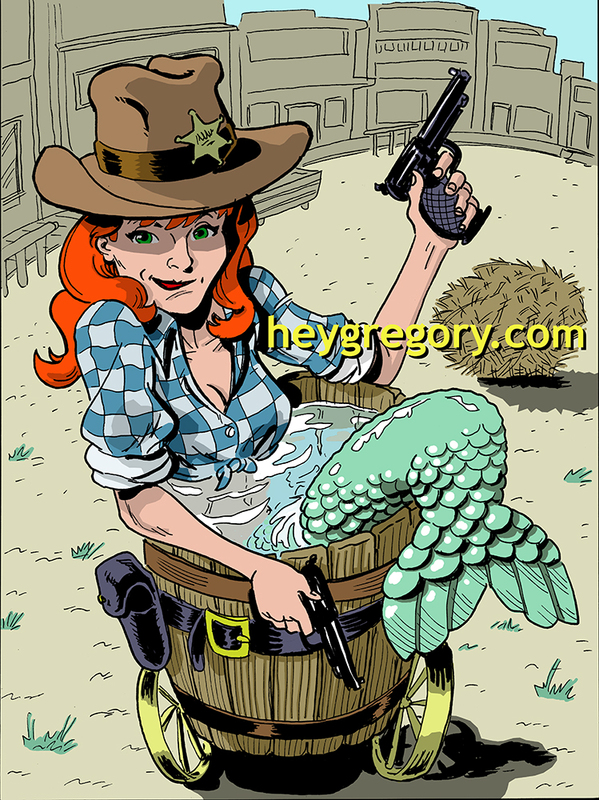 I've had the notion for an Old West sheriff mermaid for a while, and there's a story or two there. At least one of them will see daylight in my planned collection of short stories for 2018. This was fun to do.